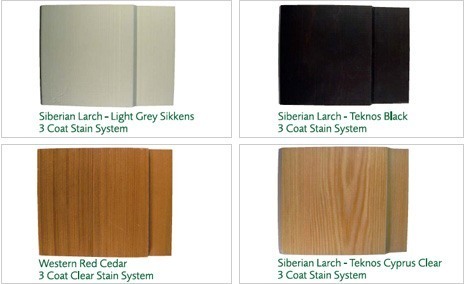 At Bennetts Timber, we offer timber cladding in a wide range of pre-stained and painted finishes. We have a pre-painted cladding service which provides a single base coat to all 4 sides of the board and a further two top coats to the outer face of the cladding. Planed Square Edge (PSE) items are painted on all four sides. We can offer a range of ‘standard’ finishes such as a clear coating with UV protection and water-based opaque colour finishes to the colour of your choice. Over recent years, an increasing proportion of our Timber Cladding is painted or pre-stained on our premises before being delivered to the site. We can source a number of colour match products available from Sikkens, Teknos, Crown and other leading manufacturers. All you need to do is supply us with a reference code or RAL colour number for the product and we can provide you with a price as soon as possible. Our factory-based coating system ensures that a consistent level of paint is applied to the painted cladding through a vacuum coater. This gives an excellent finish and the completed product looks fantastic with a huge range of colours available. We are always happy to provide samples on request free of charge. It is far more economical to have your timber cladding pre-strained or painted, as this negates the need for contractors to carry out painting work on the project site. The process is also extremely quick – using our vacuum coater we are able to finish approximately 1.5-2m3 of painted cladding per hour. Pre-staining or painting is also an important safety consideration as this means that no extra contractors will be needed on site to carry out work using scaffolding and taking up valuable space , which can often be at a premium. Our paints and coatings are all offered with a manufacturers expected lifespan, this is subject to their own individual specifications. 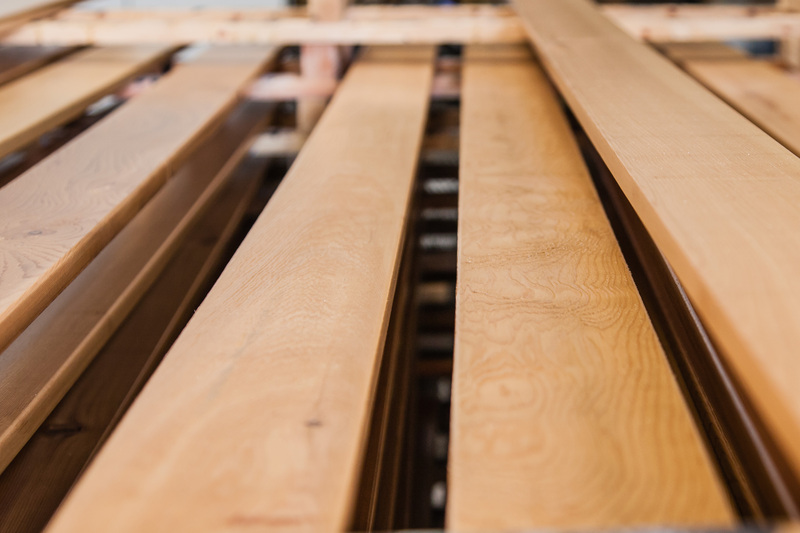 Regular timber maintenance is required throughout painted timber’s lifespan, touching up or re-coating could be required after approximately two years. This is to ensure a good protective coating build up and added protection – particularly in areas of high traffic or exposure to the weather. Manufacturers guidelines on future maintenance are readily available. Paint manufacturers’ instructions recommend a 3mm radius is applied to all outer edges of painted cladding profiles to ensure full adhesion of the coating. If you prefer a coating to a square edge profile this can still be done, but we cannot guarantee the lifespan of the coating if this option is chosen. We require a lead time of 5-6 weeks drying time for water-based paints or finishes and 6-8 weeks for solvent-based. This allows a suitable drying period between coats, plus further time for the painted cladding to completely cureensuring that the timber will be dry enough to pack and wrap in protective polythene for transit to site. It is recommended that if painted cladding timbers are not used immediately and are to be left for a while before installation, the boards are removed from the packaging, stored in a dry, well-ventilated area and separated to prevent moisture build up and sticking.